We love to give back some of the success we’ve had in the corporate sector to schools and younger generations. In a time of falling school budgets, we’re helping to bring the benefits of Taiko drumming to children up and down the country. For every workshop our performance wing Taiko Meantime holds in a state school, we subsidise 20% of the cost. 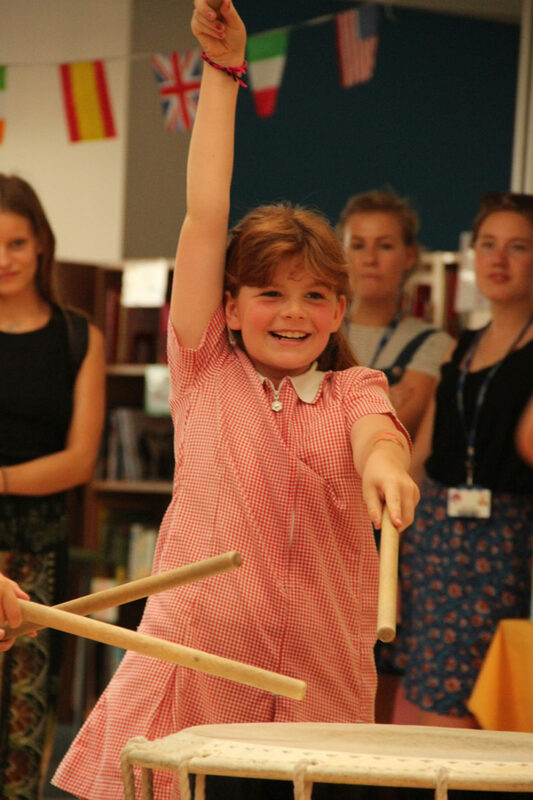 This enables thousands of primary and secondary school pupils to experience the power, joy, teamwork and self-confidence brought about by a Taiko drumming workshop or project. Visit taikomeantime.com/schools for more details of Taiko Meantime’s schools programme. Also see our range of corporate and charity team-building programmes at www.rhythmworks.com/programmes.